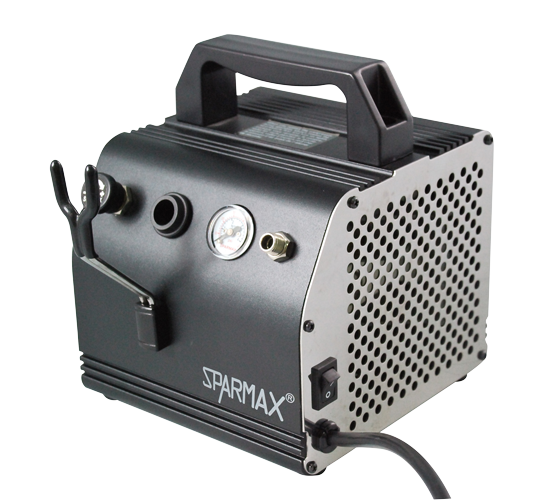 The new AC-27 "Airstream" is the most compact of the Sparmax compressors that we offer. 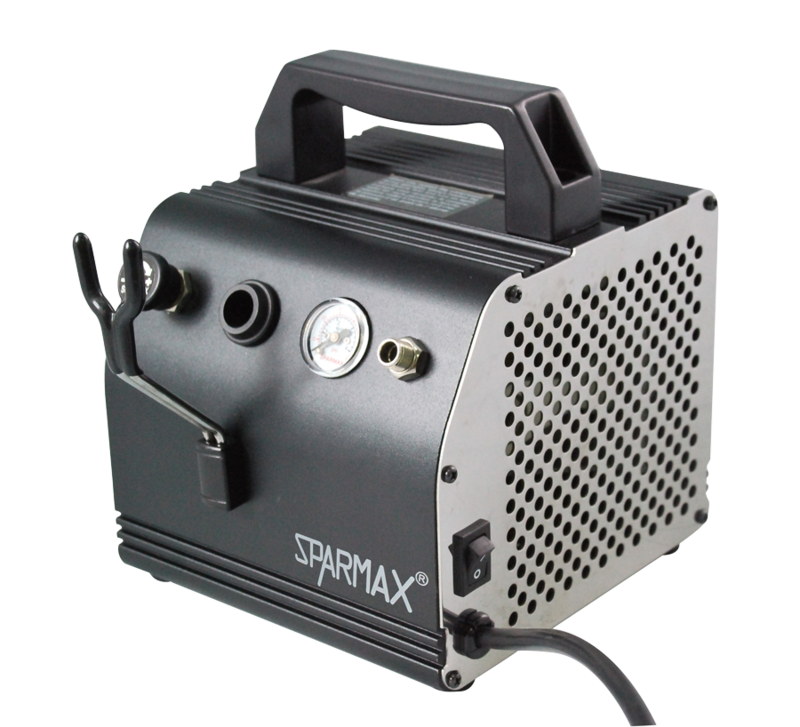 Its diminutive size of only 6" x 6" x 7" hides its powerful yet quiet 1/8hp motor which is capable of putting out up to 45psi. The AC-27 weighs in at only about 6.5lbs. The metallic copper-colored casing gives this portable little powerhouse a very attractive finish. The AC-27 comes complete with a fully adjustable pressure gauge, airbrush holder, curly PU airline and our standard adapters for all major airbrushes.